Just half way through the cooking of breakfast, the propane tank quit! It was empty! Now we know that both our tank for the kitchen stove and the barbecue tanks were taken away to fill yesterday but on checking today, they are both empty. Turns out that the supply of propane is somewhat sporadic here. There are two suppliers, one at the main gate and the second another 20 minutes down the road. There are green tanks and blue tanks, which signify which supplier you must deal with as the tanks are not filled up here, just swapped out. Apparently it is not uncommon for one or both suppliers to be out following a weekend. After paying some bills on the Internet this morning and trying to find accommodation for our last eight days before we go up to Santa Fé in the interior, I wanted to head downtown to get a couple of bus pictures for a piece that I want to write about the modernization of the city transit system here in Panama City. We headed down the hill but about the half way point there was an accident. It didn’t look particularly serious, I mean there were no bodies lying around or such. 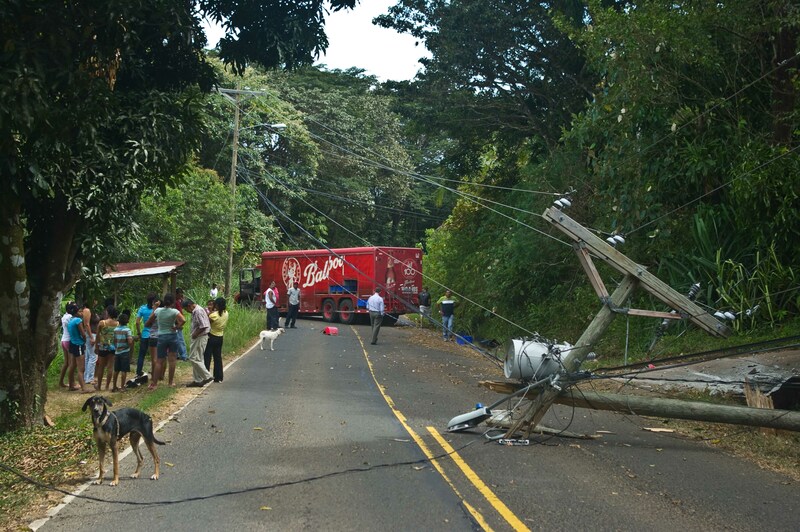 A Balboa beer truck on the way down the hill had managed to take out one of the telephone poles on the right hand side which carries power up the hill and to our little community. Part of the fiberglass truck fender is broken and on the road. 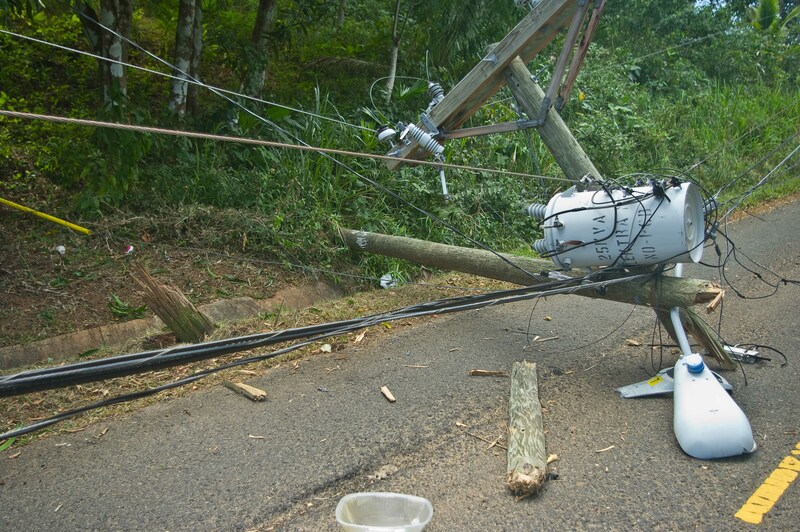 The truck was right across the road and very close to another telephone pole, which remained in tact. 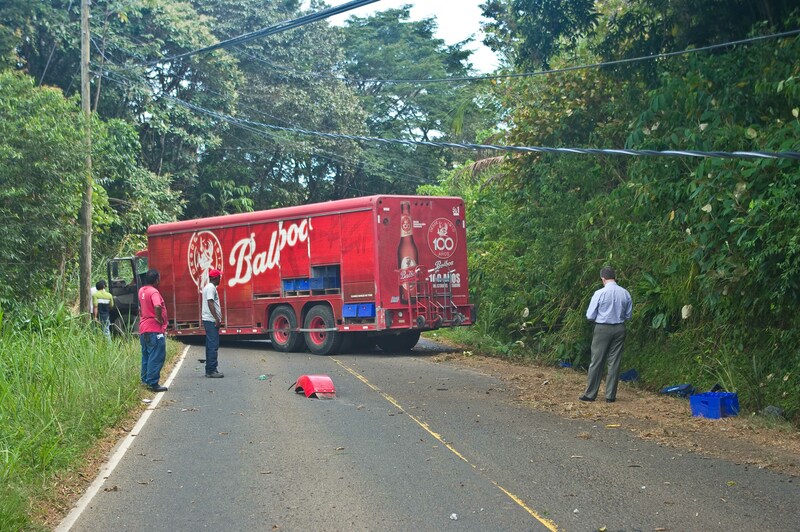 Maybe the popularity of this accident had something to do with it being a Balboa beer truck. I bet there was lots of speculation about how the accident happened. Maybe the driver was consuming some of his cargo. Maybe the driver was traveling in the middle of the road, as they tend to do here, and an oncoming car caused him to swerve and lose control. Maybe he lost his brakes. The never-ending possibilities seemed to be fuel for all the dialog amongst the growing crowd. Judging from how the truck was across the road, it wouldn’t have taken much for it to roll over and then everyone in the quickly growing crowd would be salvaging all those beers rolling down the hill on the pavement. Now that would draw a crowd! Traffic started to back up in both directions as everyone came out of their houses to see what was going on. The police were there but nobody seemed to be doing anything but standing around, pointing, and talking among themselves. After waiting some time, we decided nothing was going to happen very quickly so we turned around and started back home. It seemed to start something because a number of other vehicles did the same. So we never got to town but plan B, going to the pool, was a great option. When we got home, the power was still off so we went to the restaurant for a late lunch and a visit to the pool. I asked at the restaurant about the broken Internet connection and was cheerfully told that it was fixed but the power was out so you couldn’t use it! They did manage to produce a couple of good sandwiches for us so we ate and went to the pool. 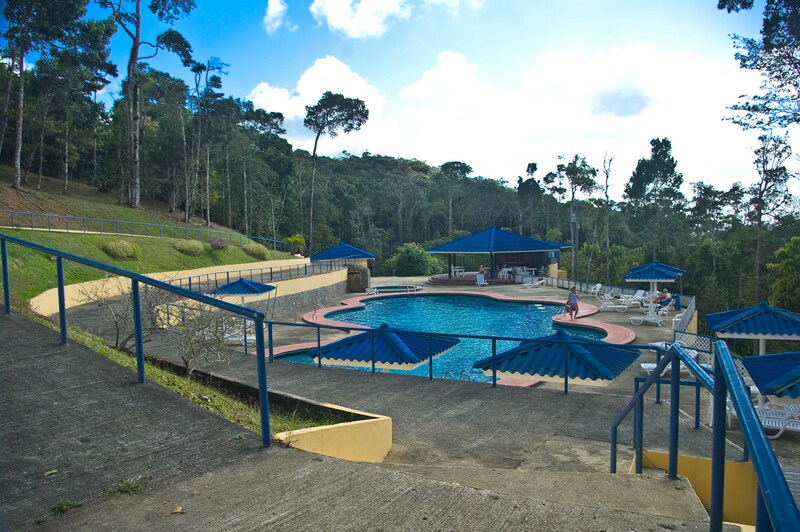 This pool here is large, well-kept, and full of cool water. We have been in pools down here that are too warm to be refreshing but this is not one of them. It is a great place to spend some time, particularly during the week when the population up here is low. There were four other people there today! We will try for another trip down the hill tomorrow but you never know what will happen here!